Have I got something delicious to share today! Is it a giant cookie sheet-sized chocolate bar? 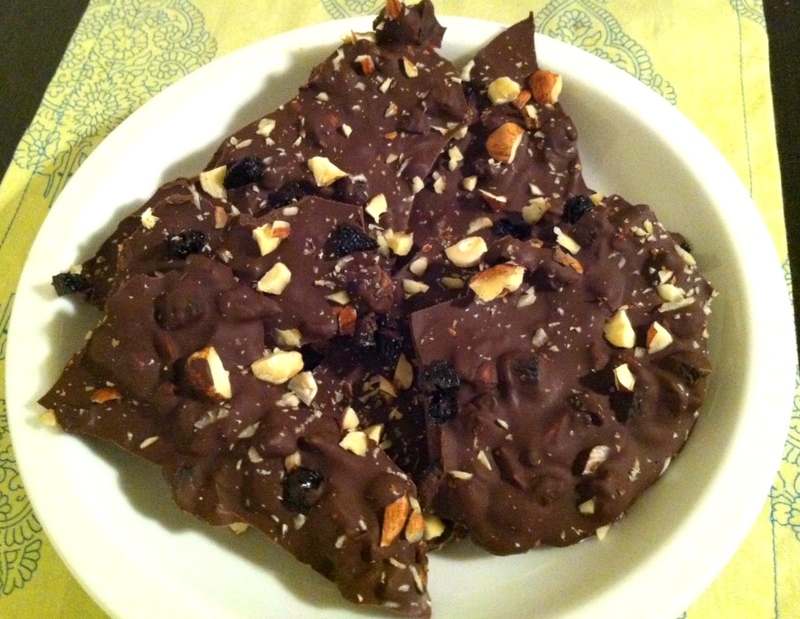 Or is it chunks of chocolate bark-like candy? It certainly could be whichever you most fancy, but either way, it makes for a satisfying sweet snack. I’ve been wanting to make something along these lines for a while and I just kept getting distracted with elaborate recipes to try or old favorites that lure me back to them. Something this simple just kept getting pushed to the wayside. It had to happen that way, I guess, but I am a bit sad for it. I am sad, in fact, for the time I wasted not knowing how wonderful this would turn out to be! I do realize that some people out there don’t like chocolate. I understand this to be true, but I will not pretend to understand how it is true. Chocolate never fails to please me. 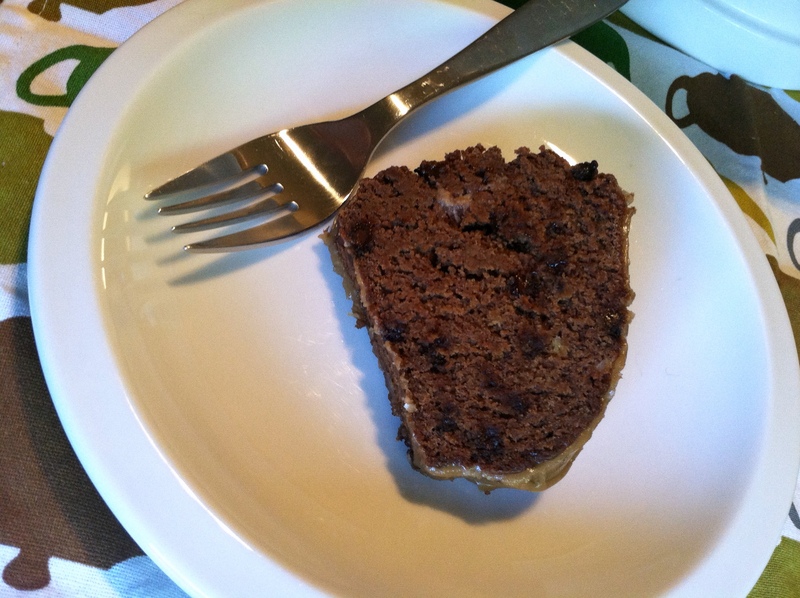 I am careful about how much of it I eat, so I don’t get myself too hopped up on sugar, but the nice thing about this is that I find a small portion of really good chocolate will totally satiate my sweet tooth, leaving me content and not yearning for seconds and thirds. Hooray for reasonably satisfied cravings! 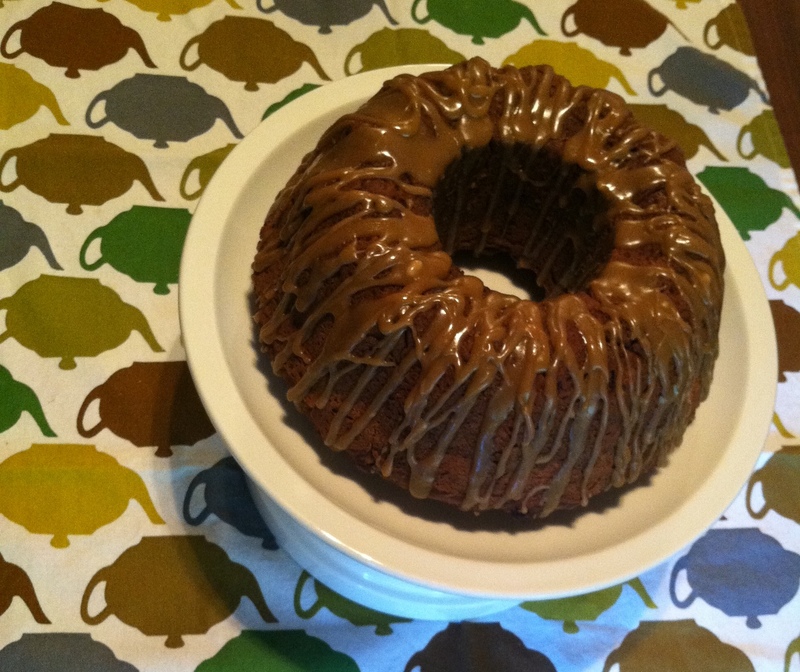 The recipe you see below is delicious, but it is also easily adaptable to your preferences. If you favor a different type of fruit and/or nut, those tastes could be accommodated with simple substitutions. Other add-ins I plan to try include: mint extract, quinoa and/or rice puffs, pretzel sticks, dried blueberries, and espresso beans. The possibilities are wonderfully endless! Plus, given that this is candy that YOU make yourself, it’s candy that you can make to be as real and natural as YOU like – no artificial or processed ingredients need be present in this chocolate bar(k). That is candy worth getting excited about! A further note about this – you can obviously use whatever chocolate you prefer. 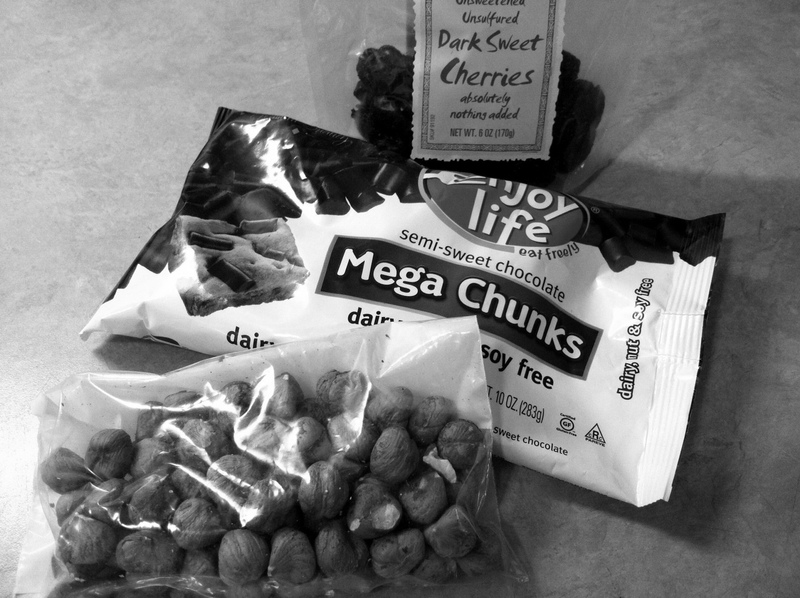 I used Enjoy Life Mega Chunks because I’m a big fan of Enjoy Life products. These mega chunks are vegan and non-GMO verified, made from simple, pure ingredients. This is my personal opinion and not given under any type of prompting from the company – I’m quite certain they have no idea who I am! They also make other tasty items, like Plentils (YUUUMMM) that are suitable to vegans and those who eat gluten-free. Prepare a cookie sheet by covering it with a piece of wax paper. Set aside. Place a metal bowl over a pot filled with about 1-inch of water (or use a double boiler if you have one). Pour chocolate into bowl and turn on heat to medium. Stir chocolate frequently as it starts to melt over the heat, being careful to keep heat moderate and chocolate moving so as not to burn. As chocolate begins to melt, pour in the orange zest and mix well to incorporate. Continue stirring until chocolate is completely melted. Remove from heat. Stir in half of the chopped nuts and half of the chopped cherries. Mix well. Pour chocolate onto the prepared cookie sheet. Use a spoon or spatula to spread chocolate out evenly over the cookie sheet. Sprinkle remaining nuts and cherries over the top of the chocolate. Place uncovered in the refrigerator for approximately 2 hours, or until the chocolate is set. 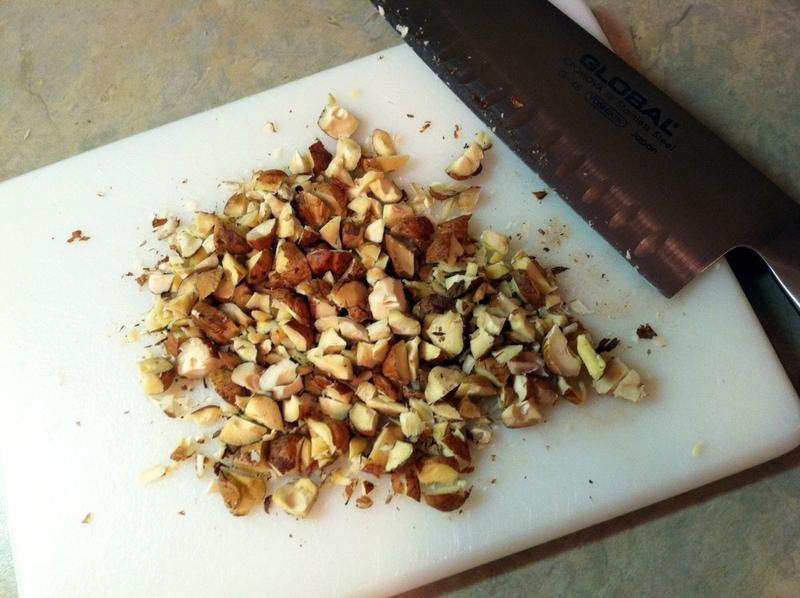 Cut into bars or break into chunks as desired. 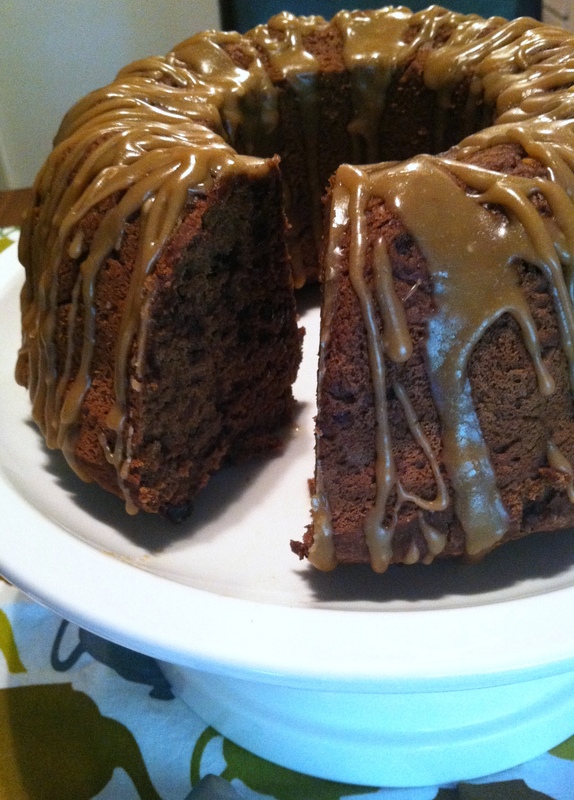 Chocolate can be stored for several days in an airtight container in the refrigerator or at room temperature. Have A Surplus of Springtime Zucchini? Make Brownies! I hear/read a lot this time of year about the abundance of zucchini. Many who are a part of a CSA (Community Supported Agriculture) program, like I am, find themselves flooded with the little green vegetable. It is not entirely uncommon to hear a bit of groaning about it. Zucchini isn’t the most popular of vegetables, though I must admit that I’m not entirely sure why. I personally don’t mind the plenty of zucchini that the warm weather brings. I love it. I cube them and sauté them with corn, lime juice and Mexican seasonings. I slice them thin and eat them raw after marinating the slices in a delicious vinaigrette for several hours. I stuff them in burritos. I roast them! I bake them!! I julienne them!!! 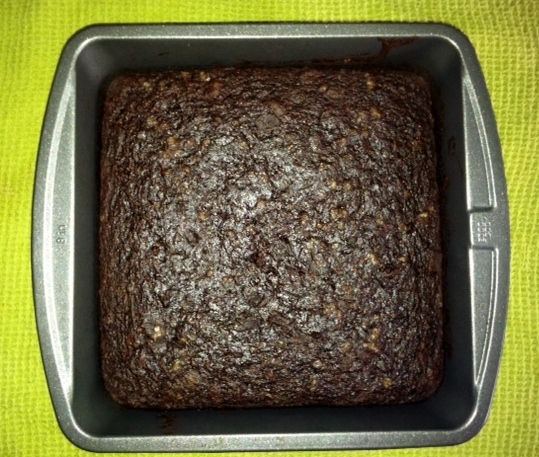 I happen to think that one of the most ingenious methods of using up zucchini is to put them in brownies. I’m sure you are all familiar with zucchini bread, which is delicious in its own right, but baking brownies with them takes the concept of zucchini-filled baked goods to a whole other level. 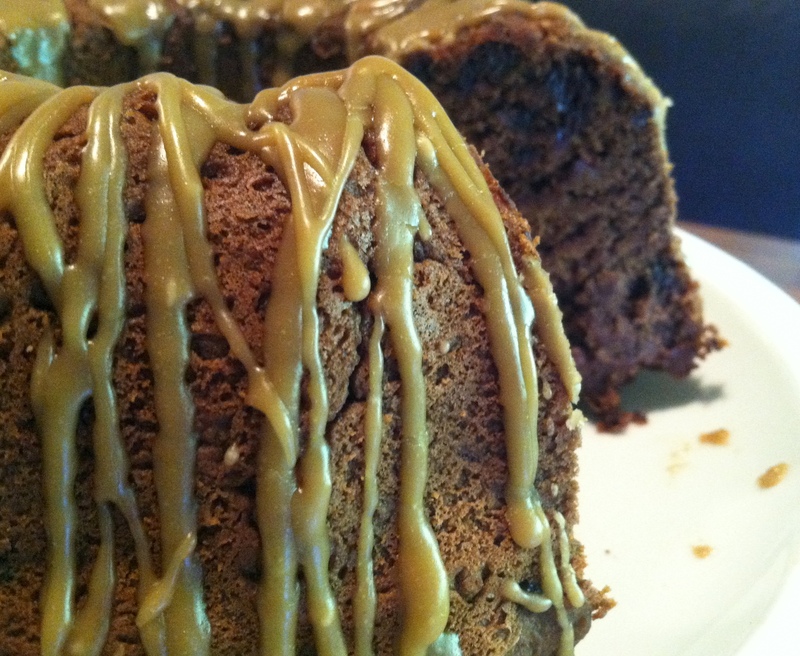 A whole other scrumptious chocolate-y level, that is. 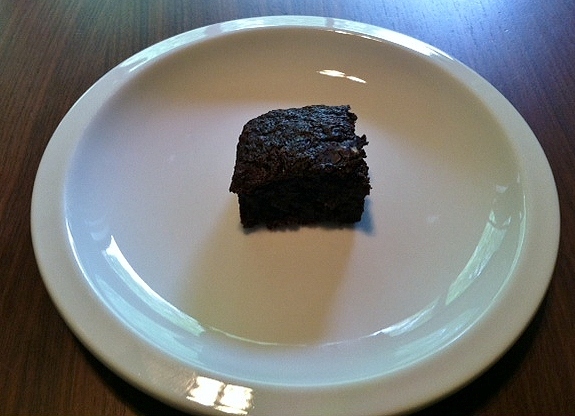 I baked these brownies a couple of weekends ago and am excited to share them with you now. These are the kind of brownies that are chewy and fudgy, almost cake-like (as opposed to the slightly more dry, crumbly kind of brownies). 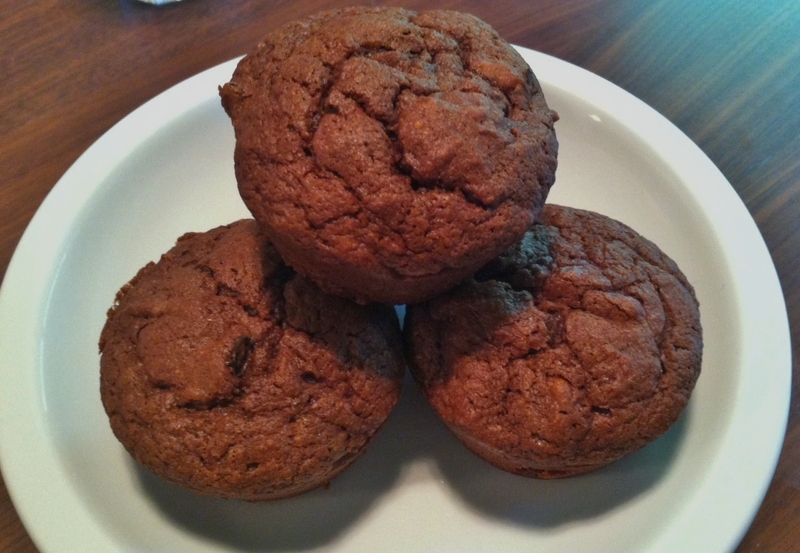 They are super moist and taste more than a bit decadent, though they also happen to be pretty darn nutritious as far as baked chocolate treats go. 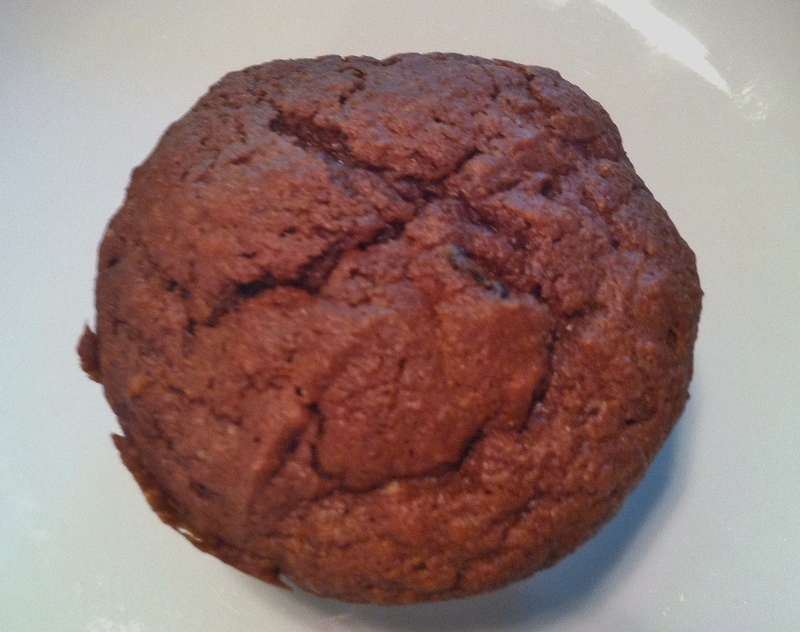 They use whole wheat flour, no oil or butter and the zucchini adds moisture and richness to the brownie, while also providing you with nutrients that promote a strong nervous system, keen eyesight, and healthy skin. How can you pass up a brownie that does all that? And, I’d be willing to bet that if you bake them in secret, your brownie-eating friends and family won’t even know they’re getting a healthy dose of vegetables until you tell them! Pre-heat oven to 350 degrees. Prepare an 8×8 inch baking pan by spraying with cooking spray. Grate zucchini. Once grated, squeeze out excess water from the zucchini. This step is important in order to prevent too much moisture in the brownies. In a medium bowl, whisk together the egg replacer (mixed with water), vanilla, sugar, applesauce, zucchini, and salt until combined. Whisk together the flour, cocoa powder, baking soda, cinnamon and cardamom until well combined. Add the flour mixture to the wet mixture and stir until just combined. Add in the chocolate chunks (or chips) and mix to incorporate. Pour the batter into the prepared pan. If desired, sprinkle sea salt or vanilla-flavored salt on top. Bake the brownies at 350 degrees for 30-40 minutes, or until the center is just set and a toothpick inserted into the center comes out clean. Allow the brownies to cool before slicing into squares (I cut mine into 16 pieces). ** Note: Because these brownies are on the moister-side, I found them to hold up better stored in the refrigerator rather than out on a counter. Let cool completely before covering and storing in order to prevent any steam/condensation from forming. They are best eaten within 3 days of baking.